We are really excited to announce the launch of our learning centre. This resource hub is created for our customers and community members, however, we welcome everyone with an interest in fairy gardening. Created or found? Learn how to identify a natural fairy garden. Why do we make fairy gardens? Understand nature connectedness, storytelling and skill development through creative expression. What does a fairy garden look like? 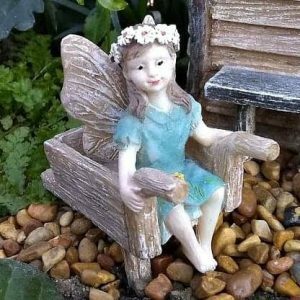 Read about the different types of fairy gardens. If I build it, will they come? Discover the fairies living in your garden. A fairy garden is a landscape where humans experience connection with other life such as plants, animals and the fae. Fairy gardens are both naturally occurring and created. Naturally occurring fairy gardens are landscapes where humans experience a heightened awareness of fairy energy. 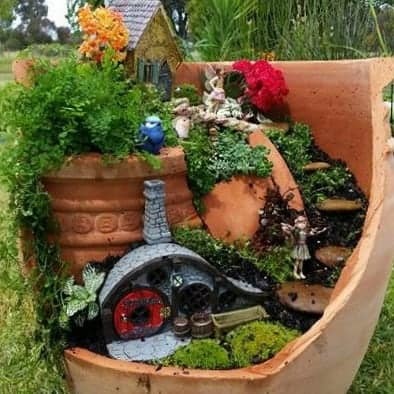 Created fairy gardens are human-made and designed to enable connection with nature in urban environments, nurture creativity and embrace storytelling. Have you ever been wandering through a park, by a lake, bushwalking or any other natural setting and had an overwhelming sense of calm? A peacefulness settles upon your shoulders and a hightened awareness of colour, sound and temperature makes you pause. You, my friend, are in the company of fairies. This feeling varies from person to person, place to place. Some people are more sensitive/open to fae energy than others. The first is old growth forests. 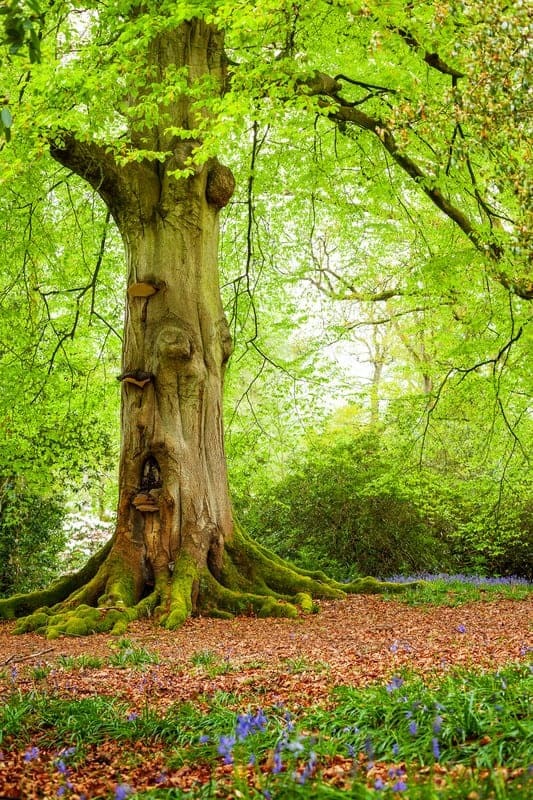 These areas have residual energy from generations of fae, making them a sacred place. Fairies work hard to protect these places in honour of their ancestors and will “bless” human visitors with heightened senses in an effort to limit any damage the human may cause by their presence. The second most common place is areas where bushfire has left large scars. The fae will flock to these areas to help heal, sooth and regenerate. These areas tend to have a different feel and you may notice a tingling on your skin. Rather than a blessing, this is more likely to be accidental. Ever wanted to know how a tree feels when new growth emerges from its burned skin? Now you know. Finding yourself in an area rich with fairy activity is an experience you will never forget. Should you find yourself wandering into these environments, tread lightly. I urge you to take great care and leave them exactly as you found them. On the other hand, we have created gardens. Land is cleared to build housing and this results in urban areas having less green space. Fairy energy is found here but it is almost imperceptable agaist the noise of traffic, technology and the stresses of everyday living. People talk far more than they listen, imagination is replaced by moving images and we find our senses overwhelmed by synthetic sensations. We create fairy gardens in these environments and they become “islands”. A space that bridges the gap between our world and theirs. Why do we make fairy gardens? Cute little things fascinate us. It’s an evolution thing designed to evoke feelings of nurturing and protection. Gardening is one of the worlds most popular pastimes (little wonder, as we try to bring green back to our urban environments!) When you combine the two it results in the wonderful experience of fairy gardening. Our core relationship with nature has a large impact on our well-being. Modern lifestyle has led to humans spending up to 90% of their time indoors and resulted in a disconnect from nature and in turn, had a negative impact on human feelings of well-being. As we become more aware of this impact, we seek ways to re-find this connection. 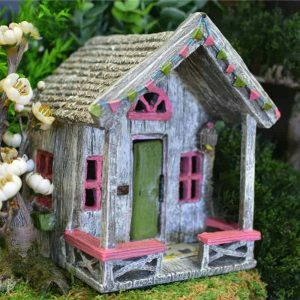 The increased popularity of fairy gardening is a concequence of this desire and need to connect with other life, plus they easily fit into our modern lifestyles and urban environments. 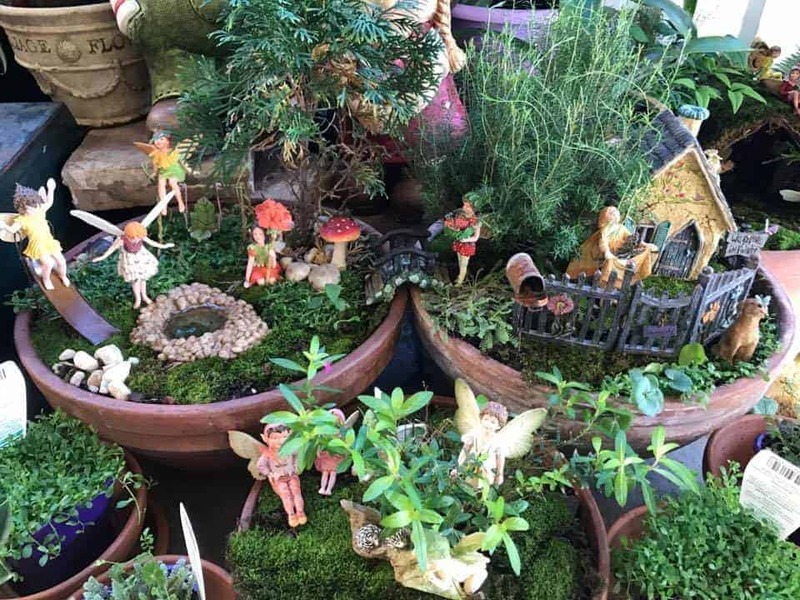 People from all walks of life and age groups are embracing the benefits of fairy gardening. People who choose to delight in fairy gardening may do so because they wish to honour the fairies. Others see it as a creative outlet or a way to decorate a space. Parents, grandparents and guardians see it as a gentle way to spend quality time with children, additionally children may see it as an opportunity to engage the attention of a stressed/busy caregiver. Many of my fellow fairy gardeners are adults who work in stressful jobs or are parents to grown children who have left the nest. Over the years I have worked with grieving families who create memorial spaces and special ability children/adults for who fairy gardening opens opportunity to communicate and express themselves. In other words, we create fairy gardens for a huge number of reasons. Among these reasons, we find the common theme of storytelling and creative expression. Creative expression helps to develop critical skills, articulate feelins and understand cause and effect. I observe the storytelling process from the beginning with our customers. The features and elements they choose tells me a lot about the stories held in their hearts. As their story unfolds, so too does their landscape. In suburbia all over the country, people are living out their epic adventures, journeying to mystical lands, making magic and finding their true selves. Doesn’t that make your heart happy? Yeah, me too. What does a fairy garden look like? The story of the creator is found in every fairy garden, making them all very different. 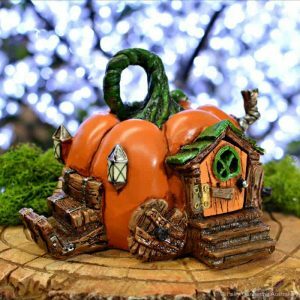 For instance, you might position a single ornamental toadstool under your favourite tree, or you might have a sprawling miniature village. If your intention is to create a magical space, whatever you add and however it looks will be perfect. Some fairy gardens are created in secret corners of the garden, others, for example are extensive multi-level communities. 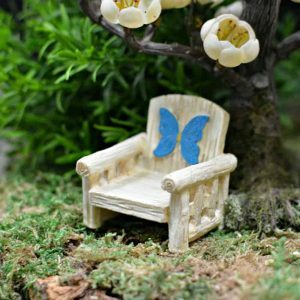 You might welcome high flying fairies with fairy doors in your trees, while others are welcomed into beautiful window or planter boxes. Not all fairy gardens are created in the Garden” either! 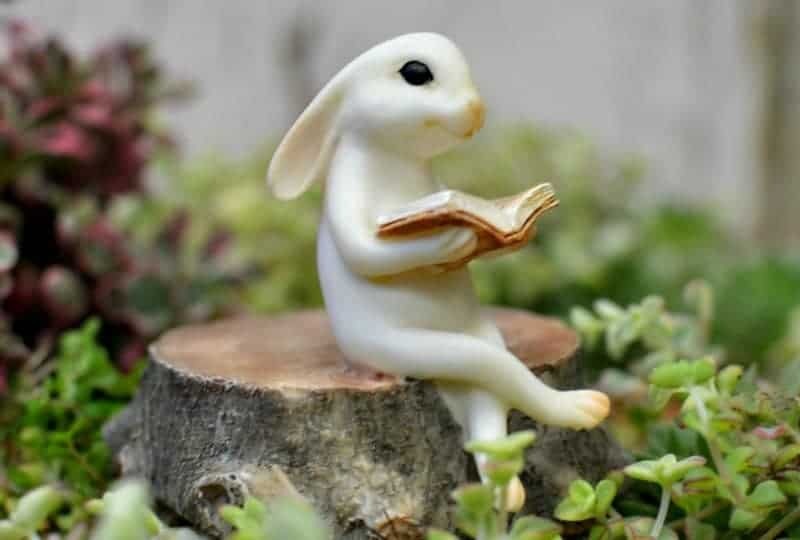 Decorative bowls can hold miniature islands on patio tables, teacup gardens are a beautiful addition to window sills, bookshelves hold more stories when a fairy garden is positioned on the shelves and lots of little ones go to bed at night feeling conforted by the fairy garden in their bedroom. Pinterest perfect gardens might be lovely to look at, but remember that most of the images are photos of displays in gardens centres. Your garden is your space – if your heart dreams of a highly organised, perfectly scaled picturesque oasis to escape the biscuit crumbs and lego trails left around the house by your kids, then live your best life and build your oasis! If routine and structure rule your waking hours and your heart longs for rugged wilderness, then create a wild and untamed space. A fairy garden is not a fairy garden by virtue of being small! The fairies only reside in your garden if you acknowledge and welcome their presence. Fairy garden or miniature garden? 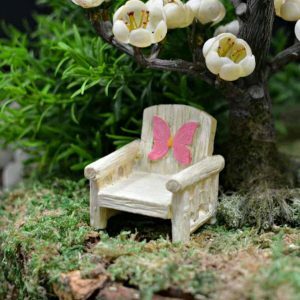 Fairy garden ornaments are not manufacturered to a set scale which makes them different to dolls house ornaments. If fact, we abandon scale entirely! Another difference is the positioning of the ornaments. 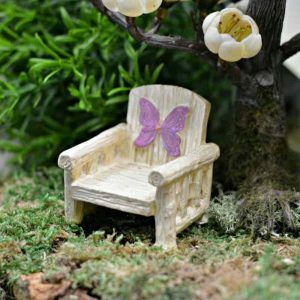 Doll house ornaments are designed for interior placement, where as fairy garden oraments are designed for outdoor placement. Scale is a key difference between miniature and fairy gardens. 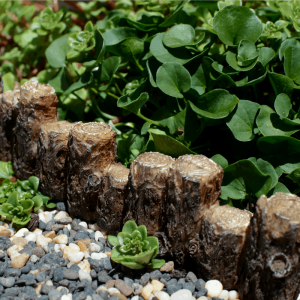 First, a miniature gardener places a higher priority on scale. In fact, if you were to take a photo of a miniature garden, in theory, you shouldn’t be able to tell if it is miniature or life size. Second, it comes back to the intention of the gardener. A fairy garden is not a fairy garden by virtue of being small! The fairies only reside in your garden if you acknowledge and welcome their presence. However, there are a million exceptions to both these ideas and I tend to think of the miniature garden v’s fairy garden debate as a sliding scale rather than a rule. “How do I encourage the fairies to take up residence in my new fairy garden?” I often get asked. Ideas such as gifts, treats, bells, etc. are adorable, however, I consider them to be ways of engaging children rather than answering the question. It is far more appropriate to ask the creator of the fairy garden, after-all, it is YOUR story and I would very much like you to tell me if the fairies moved in, when, how and what happened next. The first chapter of any story should be captivating and leave me wanting to hear more. Giving you an answer would be akin to me ripping out a few of your pages! _ _ I see that you are still reading…. *sigh*… ok, here goes Fairies have been my life long companions (see about us) and if you wish to hear my answer, you must understand that it will be based on my experiences. I offer my sincerest half-hearted apology in advance to those hoping for a disney-esque type answer. I suppose those that know me wouldn’t expect anything less. The fairies are already here and have been for a long time. The fairies are a very real presence. Wherever you find plants and animals, you will find fairies. The very important role of flora and fauna guardianship is their job. It’s kind of like a “I’ve got ya’ back” thing. You wont see them sitting on a branch painting a flower. Fairies operate at a very high vibration and their energy is omnipresent (they do not have a physical body). Their high vibrational state is key to their ability to perform this task. A flower already knows how to be a flower and can produce its own colour. The fairies simply cheer the flower on, surrounding it with love, trust, understanding, serenity, reverence and hope, enabling it to thrive and do what a flower does best. That isn’t to discredit those who believe they have seen fairies. In fact, I suggest that they very well may have! High concentrations of energy can cause what appears to be a flicker or movement, but more often, a space that is dense with fairy energy can induce a heightened awareness of colour, sound, temperature, and your overwhelmed human brain will process that by recalling a familiar and safe image (that of a tiny winged, human shape creature). Can you entice fairies to live in your garden? No. The fact is that they are already there. 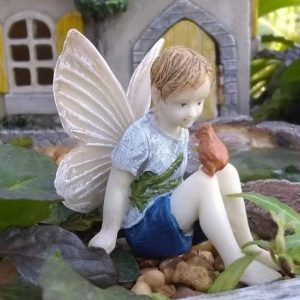 Your fairy garden adventure is a journey of courage, joy, love and optimism, raising your vibration. The fairies are well aware of you, they see you. They were here long before you and have been waiting patiently for you to join them! Kim Shaw is the founder and creative director of Fairy Gardening Australia. Mum of three, professional fairy gardener, practitioner of magick and advocate for fairy freedom. For our purposes, I shall focus on created gardens. I heard that there are fairy garden tips here somewhere. Can I go there? There is a cool thing I want to click on the home page. Can we go back there? I am feeling inspired. Take me somewhere random!